Ever since submarines become the principal weapon of naval warfare, designers have focused on making them quieter and increasing their underwater endurance. Traditional diesel-electric submarines need to surface frequently to charge their batteries and have an underwater endurance of only a few days. As battery technology improved, the endurance of these submarines increased proportionally. But it was not enough to last them beyond a week. The introduction of Air Independent Propulsion (AIP), vastly improved the underwater endurance of these submarines and gave them a distinct advantage. That is the reason we see a large number of navies queuing up to buy or build submarines with AIP systems. The best part is that AIP technology can be installed on existing older generation submarines by inserting a new hull section during a retrofit. This article will deal with the working, advantages, disadvantages and application of AIP in modern submarines. As their name suggests, Diesel-Electric submarines run on diesel and electricity. They have a large network of batteries which are charged by the diesel generator. They snorkel, which means, travelling just below the surface of the water with the periscope and the diesel generator exhaust pipe above the water surface. Once they charge their batteries, they dive into the ocean and run silently on battery power with the diesel generators shut down. After running for a few days underwater, the battery gets drained and these submarines have to surface again to recharge their batteries. Diesel-Electric submarines are also referred to as SSK (Sub Surface Hunter-Killer) by US Naval designation or popularly called as diesels. Why do we need AIP ? While underwater, the batteries on board power the propeller and other electrical systems on board the submarine. These batteries run out of charge within 4-5 days and the sub needs recharge them. This is done by snorkeling, which exposes them to detection by enemy radars and makes them an easy target for hostile anti-submarine assets. Although modern snorkels are coated with radar absorbing paint and have a stealthy shaping, they are still detectable by high resolution radars. There are also sensors called diesel sniffers which can detect the exhaust emissions of the submarines diesel generators while snorkeling. A submarine which needs to surface every day, loses its element of surprise and increases its vulnerability to hostile anti-submarine assets. Hence we need a system which can allow diesel-electric submarines to recharge their batteries without running their engines. This will allow them to continue sailing underwater and retain the element of surprise by remaining undetected. 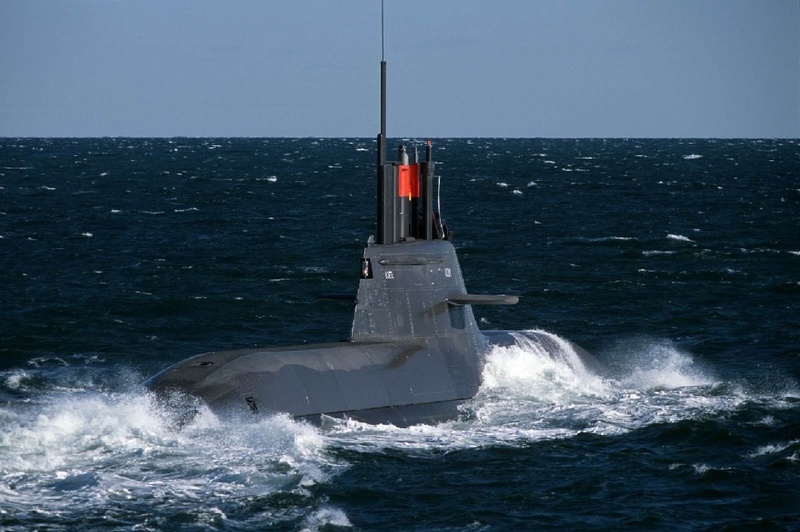 The system should also allow the SSKs to retain their extremely low noise signatures and should not compromise on the performance of the submarine. The system which permits all this is Air Independent Propulsion (AIP). Although nuclear submarines offer far better endurance and speeds, they are unsuitable for the shallow littoral waters and most navies cannot afford to build and maintain them as they are very expensive. Also diesel submarines possess the advantage of being able to switch off thir engines completely and lie in wait unlike nuclear submarines whose reactors cannot be switched off at will. This combined with the ultra-quiet nature of modern diesel subs, has made AIP-equipped diesel subs a very attractive alternative for many countries. Many countries are operating both nuclear and diesel-powered submarines for their respective advantages. Navies who wish to operate non-nuclear subs with long-range and large weapons payload are now option for large diesel submarines equipped with AIP, which provide the closest alternative to nuclear powered submarines. Some examples are the Soryu class of Japan, Type 216 being developed by Germany and the Shortfin Barracuda of France which will be operated by Australia. Before we can understand the working of AIP systems, we need to understand the meaning of a few engineering terms. Closed Cycle Engine : A heat engine in which the working substance is continuously circulated and does not need replenishment. Steam Turbine : A type of turbine in which a high velocity jet of steam is used to turn the turbine blades which in turn rotates the shaft. The shaft can be connected to an alternator to generate electricity or to a propeller to move a ship/submarine. Working fluid : It is a pressurized gas or fluid that is used to absorb/transmit energy in a thermodynamic system. Scrubbing : The process of removing certain gases from the exhaust by the usage of appropriate chemicals in a scrubber. This technology involves storing a supply of oxygen in the submarine in order to run a diesel engine while submerged. Liquid oxygen (LOX) is stored in tanks on board the submarine and sent to the diesel engine for combustion. Since they need to simulate the atmospheric oxygen concentration for the engines to run safely without getting damaged, the oxygen is mixed with an inert gas (usually argon) and then sent to the engine. The exhaust gases are cooled and scrubbed to extract any leftover oxygen and argon from them and the remaining gases are discharged into the sea after being mixed with seawater. The argon which is extracted from the exhaust is again sent into the diesel engine after being mixed with oxygen. The main challenge with this technology is the storing of liquid oxygen safely on board the submarines. The Soviet subs which used this technology during the 1960s found them to be highly prone to fires and subsequently discontinued their usage. Closed Cycle Diesel AIP is hence not preferred for modern submarines even though it is comparatively cheaper and simplifies logistics by the use of standard diesel fuel. Steam turbines make use of a source of energy to heat water and convert it into steam in order to the run the turbine. In nuclear powered submarines, the reactors provide the heat in order to convert water into steam. But in conventional closed cycle steam propulsion, a non-nuclear energy source is used to do the same. The French MESMA (Module d’Energie Sous-Marine Autonome / Autonomous Submarine Energy Module ) is the only such system available and it makes use of ethanol and oxygen as energy sources. The combustion of ethanol and oxygen under high pressure is used to generate steam. The steam generated is the working fluid and is used to run the turbine. The high pressure combustion allows the exhaust carbon dioxide to be expelled outside into the sea at any depth without making use of a compressor. The advantage of MESMA is it’s higher power output when compared to the alternatives which allows higher underwater speeds but it’s major drawback is it’s lower efficiency. Also the rate of oxygen consumption is said to be very high and these systems are very complex. These drawbacks make several navies opt for sterling cycle and fuel cell alternatives. A Sterling Engine is a closed cycle engine with a working fluid which is permanently contained in the system. A source of energy is used to heat this working fluid, which in turn moves the pistons and runs the engine. The engine is coupled to a generator, which generates electricity and charges the battery. The source of energy used here is typically LOX as oxidizer and diesel fuel, which is burnt in order to generate heat for the working fluid. The exhaust is then scrubbed and released into the seawater. The advantage of using Sterling engines is the easy availability of diesel fuel and low refueling costs when compared with Fuel Cells. They are also quieter than MESMA and hence preferred by the Japanese for their Soryu class, Sweden for their Gotland and Västergötland class and China for their Yuan class. The main drawback is that they are relatively noisy when compared to Fuel Cells due to the presence of a large number of moving parts. They are also bulky when compared to Fuel Cells. 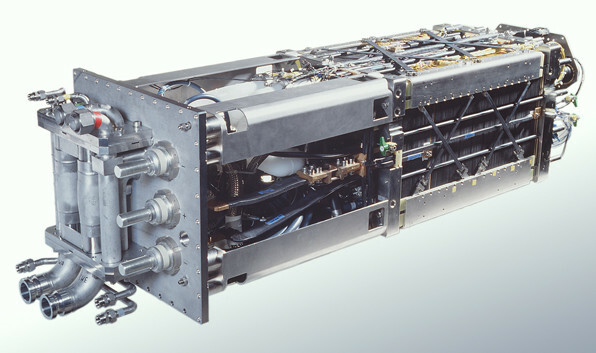 The operating depth of a submarine using Sterling AIP is limited to 200 m when AIP is engaged. A Fuel Cell is a device which converts chemical energy into electricity. This is done using a fuel and an oxidizer. A typical fuel cell converts Hydrogen (fuel) and Oxygen (oxidizer) into electricity, with water and heat released as by-products. This is done by an electrolytic cell which consists of two electrodes, one positive (anode) and the other negative (cathode), separated by an electrolytic barrier. The reaction between the cathode and anode produces an electric current, which is used to charge the batteries. A chemical catalyst is used to speed up the reactions. Phosphoric Acid Fuel Cells (PAFC) and Proton Exchange Membrane Fuel Cells (PEMFC) are presently used in submarines. Germany is said to be the world leader in developing and fielding this type of AIP, which is backed by the large number of export orders they have received. France is developing a new generation Fuel Cell AIP as a successor to its MESMA. India is another country which is developing a Fuel Cell AIP to be integrated on their submarines. Fuel cells are the most advanced and preferred AIP technology today. This is because of the major advantages they offer in stealthiness and power generation. 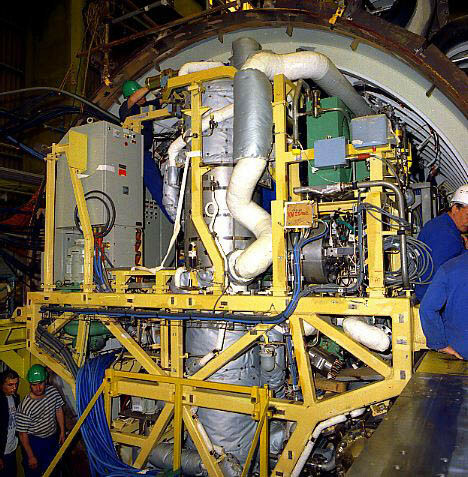 They contribute to the stealthiness of the sub as Fuel Cells have almost no moving parts, which significantly reduces the acoustic signature of the sub. Fuel Cells can achieve an efficiency of over 80% under certain circumstances. They can also be scaled easily into large or small sizes depending on the displacement of the submarine. This is easier than developing different systems for each submarine class. Hydrogen Fuel Cells are also very environment friendly as they generate no exhaust fumes, which in turn eliminates the need to have special exhaust scrubbing and disposal machinery. The only drawback is that they are expensive and complex. As of 2016, the following countries have developed their own AIP systems to be fitted on submarines. Other than Fuel Cells, the 3 remaining technologies have a lot of moving parts which generate noise. This is not desirable as quietness is very essential for all submarines. So by using Stirling, MESMA and CCD AIP systems, submarines will be sacrificing some of their stealthiness for additional endurance. Even though Fuel Cell AIP has many advantages, it is extremely expensive to procure and maintain them. Submarines which use AIP need to sail at speeds of less than 10 kts in order to achieve exceptional endurance of 14-18 days as advertised. In comparison, a nuclear powered sub can travel for an unlimited distance at 30-35 kts without sacrificing endurance. So AIP equipped submarines cannot replace nuclear submarines when it comes to blue water or extended period operations. The advantage offered by increased underwater endurance can be used for ‘ambushing’ an approaching fleet. In one such scenario, an AIP equipped submarine can roam near a strait, waiting for its target to approach. The sub will be running at ultra-quiet speeds of 2-4 knots for several weeks and then attack the target when it appears, using its torpedoes. Even though a non-AIP equipped sub can do the same thing, it’s waiting period, which is very essential for an underwater ambush, is significantly lesser. In another scenario, an AIP equipped sub can roam near enemy territory for far longer compared to a non-AIP sub. Thus in this situation where intelligence is gathered and spy missions are performed, AIP gives these quiet diesel subs an advantage by allowing them to loiter for weeks without the need to surface. The thing to remember about AIP is that just because a submarine is equipped with that technology, it wont necessarily use them on every deployment. During regular patrols or in friendly territory, an AIP equipped submarine will snorkel often to recharge its batteries. Only when it is deployed operationally will it make use of AIP to increase its underwater endurance. This is because most of the fuels, oxidizers and other consumables used in AIP are quite expensive and it would not be economical to replenish them on a monthly basis. The capacity and reliability of batteries is increasing due to extensive research being conducted in that field. The various AIP technologies mentioned will also see large-scale improvement in capabilities. These two technologies combined, will allow AIP equipped submarines of the future to stay underwater for months at a time and make them pseudo-nuclear submarines. This technology has a bright future and we will see more modern navies adopting it for their diesel-electric submarine fleets. Enjoyed reading the article? Do rate it below. Nice article, always enjoyable reading them. NRP, your articles are awesome, well researched, detailed oriented and very informative. I know it takes much time to do that, which is why you have not written since July 06, 2016. Please write about the S-400 truimf system which India is going to buy and also china too has. I do know that you have 100 requests, but pl see if you can do this. Thank you for your kind words. I’m glad you like my articles. I’m working on several articles at present. S400 is a great topic and it’s presently at the top of my list along with Rafale and Top 10 Destroyers. Very informative and enlightening piece of information.Waiting for more. When are you writing an article about Indian carriers.? Thanks. I’ve already written one on INS Vikramaditya. A thoroughly enjoyable read, as always. Thanks for the Info! One question – on the last two subs of the Scorpene, will we be installing MESMA or DRDO’s Fuel Cell AIP? DRDO Fuel Cell AIP. India has rejected MESMA. Nice article. I understood most of the things despite the fact that I never read bout AIP earlier showing the simplicity of the article. Nice one. Now that the AIP article is published, which will be the next one? Any chance of an article on modern ATGM systems any time soon? Excellent article! But I feel LIB should also have been mentioned. Some questions for you NRP. Want your insight. 1. Why Hal Tejas cannot do 9g manuvers but mirage 2000 can. I asked this question some time ago may this time you have answer, if not please give insight. 2. Why Tejas’s max speed is less than mirage 2000 even the engine of Tejas is producing more thrust than m2000.and maximum weight carried by m2000 is higher than Tejas. 1. Well I understood your point that Hal doesn’t reveal actual specification, but don’t you think that a company who think that its product has an export potential degrades its specification significantly. 2. Do you think that Tejas mark 1 version can match the combat radius of f16 and gripen 39 and mirage 2000 ( internal fuel only). Asking because of they are somewhat in same class and if you are pitching Tejas for export, it will be compared to them. 3. Do you think the Tejas mark 2 can match the f16, gripen 39, mirage 2000 in terms of pure flying capabilities like max speed,angle of attack, maneuvering, g force limits,altitude,climb rates etc. F16 is its direct rival from PAF. And as you know by manohar parikers comments. They will see if they need another fighter in light fighter category. I want to make one thing clear that iam not a troll and not are anti HAL or drdo. Sorry for asking off topic question but I don’t getting answer elsewhere. Thanks to you. You are doing good work here. Wherever Iam reading , they are talking of Tejas being obsolete and pitching Tejas against rafale for mmrca need. Nonsense like this. 1. The actual specifications are revealed to the export customers in private. It’s not necessary to put the data out in public. 2. The Tejas Mk1A can match the early F-16 and Gripen models. The new Gripen has an enlarged fuselage with significant increase in fuel capacity. The newer F-16 models with CFT (considered as internal fuel as they are permanently fixed and don’t as reflect weapon carrying capability) will also have superior combat radius. The LCA Mk1A will be ideal as a point defense fighter. 3. I cannot comment on Tejas mk2 as it’s still on paper. It’s supposed to be in the same class as the Gripen E.
The Tejas is not obsolete. The 100 Mk1A will replace the old MiG-21 in point defense roles and will have a secondary precision strike role. Tejas cannot replace the Rafale as both jets have totally different roles and capabilities. You can email me at defencyclopedia@gmail.com if you have further queries. 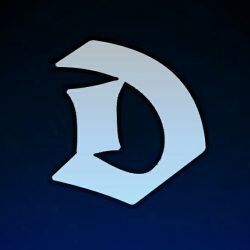 I just recently discovered this jewel of a website! I do have a question though, is there an article about the Ticonderoga Class? Hi Alexul. I’m afraid there is no article about the Tico. You can use the search option in the menu to find the articles you want. Thanks NRP for providing detailed answers. This time you let your guard down. I know that Tejas is not obsolete and we seek rafale for different need. Just I wanted to say that these types of things are all over internet and they are writing these nonsense with full confidence , like IAF gonna be in crises if they inducting Tejas or Rafale. They cant distinguishing in MRCA for light(Tejas) and medium(rafale) categories. Yes. There’s a lot of criticism everywhere. But the professionals know better. N.R.P. Expecting 1 article about American Aircraft Carrier EMALS system and how it works. Can you just tell me which are top 10 SSKs? Just list. Submarines while using AIP can speed just 4 kts maximum speed with AIP was less than 8 kts. In comparison, a nuclear-powered sub can travel for an unlimited distance at 30-35 kts without sacrificing endurance. I read advantage of AIP is just it increases endurance not range, as AIP can’t provide much power. Advantage of AIP is just going to area where enemy will come. There are only around 10 SSKs in the market. Not possible to list them in any particular order. Regarding the speed, AIP allows subs to travel at around 5 kts underwater. If the sub travels at this speed for 15 days, it would have covered 1800 nautical miles. Without AIP sub can do around 10 kts underwater for around 3 days which translates to around 720 nautical miles. This AIP also increases range along with endurance. It sacrifices speed to do so. AIP won’t be helpful for chasing and attacking enemy ships. It’s deadly when the enemy is attacking and AIP subs are defending the area because speed won’t be a major factor then. Regarding top SSK, proper order isn’t required but like keeping Scorpenes & U214 equal, U212 best or Shortfinn Barracuda best like that. Regarding AIP & speed, we know submarines can’t chase ship even nuclear but can SSK increase range of submarines by 1800km just by adding AIP at 5kn? That seems too much for me. Like Kilo-class have 400 nmi at 3kn. Only Type 214 have 1248 nmi at 4 kt. Can AIP increase range by 1800 kn at 5kn? Yes. AIP does increase range! This is because it has its own fuel supply independent of the fuel supply to the diesel engines. It’s a separate unit and hence it increases endurance as well. The range values which you have mentioned are for running on battery power underwater. These submarines have range of over 10,000 km while snorkeling. That’s the reason you’re feeling AIP massively increases range. Because you’re comparing with range on battery power only. I think for pump jet wiki article is enough. It would be good if you publish one article per week. Also article on modern tanks and ATGMS. Very nice article. Simple and educative. 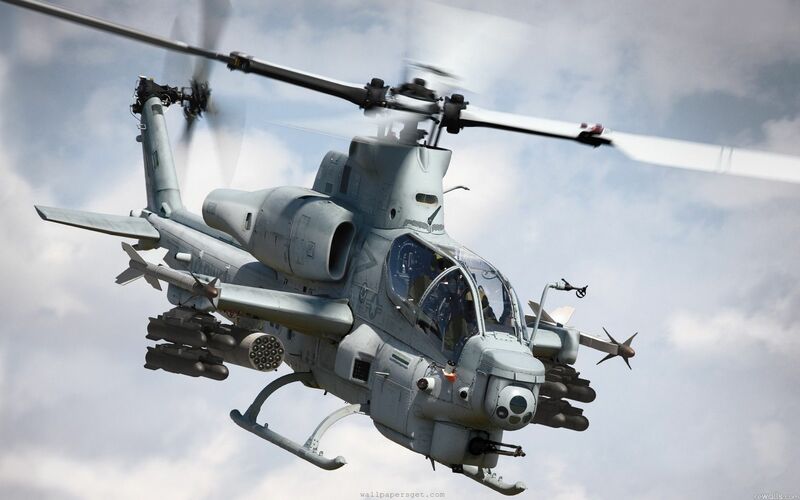 Now, that the Japanese government has changed its exporting laws regarding weapons purchases! I would to see how effective the Soryu class submarine would be in the invironment of the Meditteranean sea. i was thinking that if we can produce hydrogen and oxygen from seawater by electrolysis when the submarine is underwater we can use it to run fuel cells and we can even run our diesel engines provided we find the way to remove exhaust under sea. 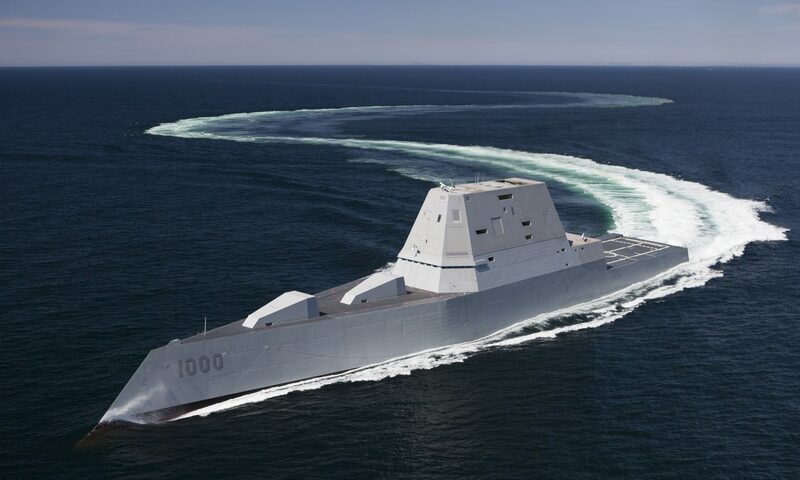 Next PostNext News Digest: New French Frigate Unveiled,USS Zumwalt commissioned, Indo-Russian deals.